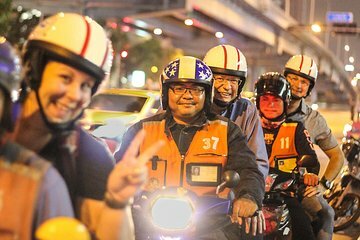 Cruise the streets of Bangkok on a motorbike in search of the city’s best food. This evening tour stops at five spots including night markets and local restaurants where you can sample a variety of foods such as hot pots, fried chicken, and much more. Discover hidden gems and get off the beaten track on this food adventure.